Ever open a bottle of wine until to taste it and realize it has spoiled? It doesn't happen often but when it does it's enough for things to go sour quickly. 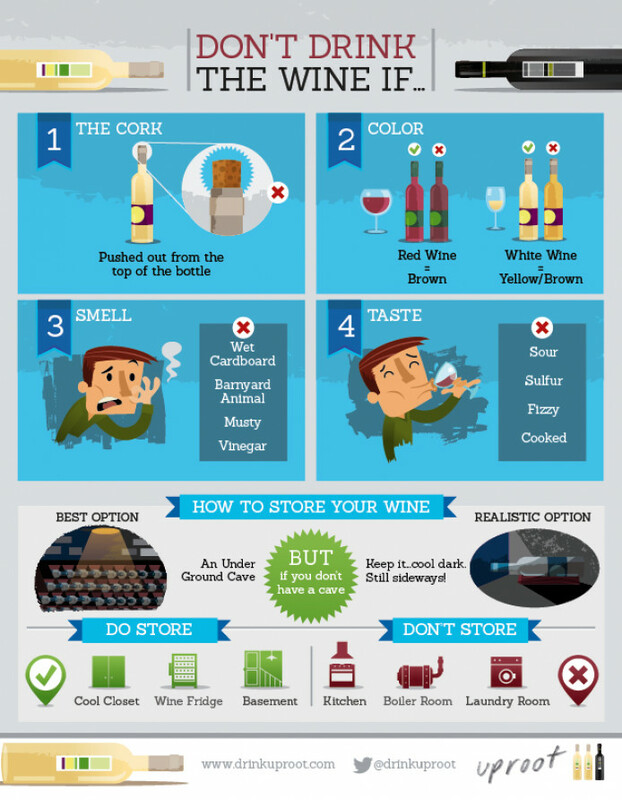 This handy infographic from Drink Uproot will help you detect spoiled wine so you can spare your palate and that of your dinner guests. What should you look out for? You'll want to examine the cork and make sure it hasn't popped out of the bottle. You'll also want to ensure your wine possess the right color (i.e. red wine shouldn't be brown!). Another big no no? A musty or vinegar smell may be a sign that the wine is not drinkable.